The capital of the Czech Republic values its visitors greatly, and thus many efforts are made to make the stay as comfortable as possible for tourists. To provide its visitors with a package of services and many discounts, Prague offers a sightseeing pass called “Prague Card”. 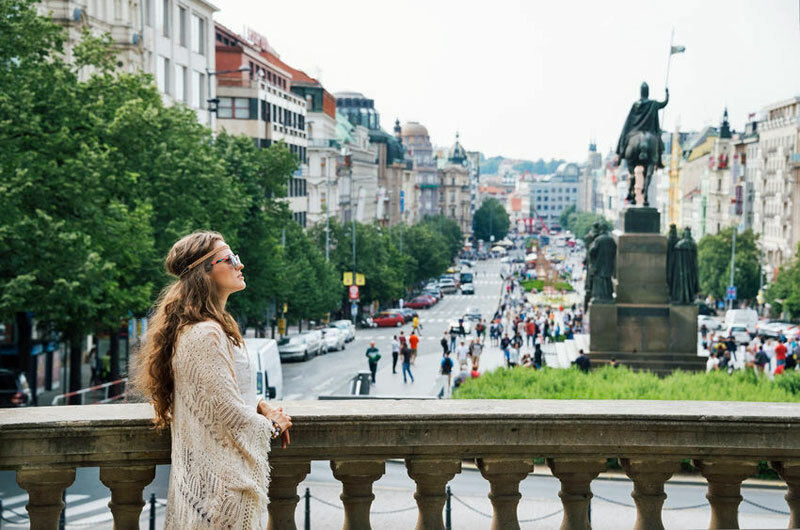 Prague Card is designed to allow you to explore everything Prague has to offer in an outstanding, maximally comfortable, and financially effective way. Prague Card is officially supported and offered directly by the Prague City Office, so it’s no scam. The list of benefits a Prague Card provides you with is long and rich. Among other things, it enables free use of Prague’s public transport and a special airport bus (Airport Express), a two-hour long bus tour through the historical centre, free entry to Prague Castle, the Jewish Museum and dozens of other Prague sights, a Guidebook with info on Prague’s attractions in seven different languages, and a rich variety of high discounts for various tours, cruises, concerts, and restaurants. You can find the full list of all benefits on the Prague Card’s web page. 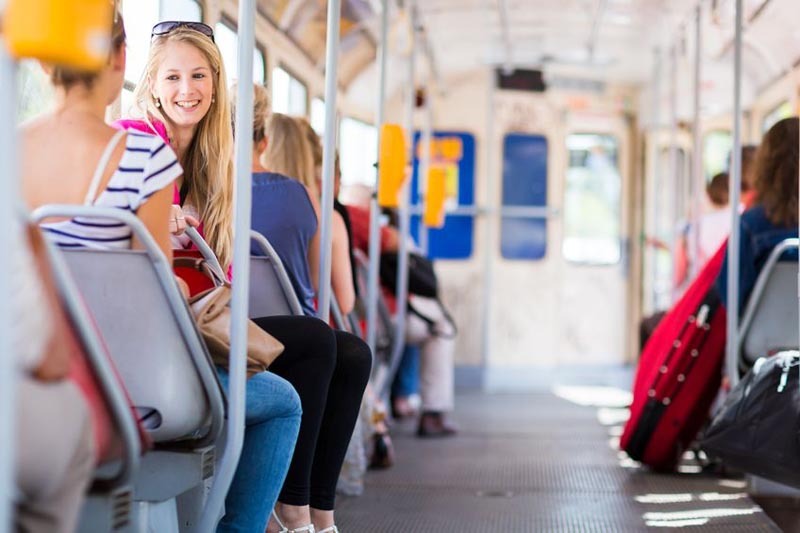 Cost-free travelling on Prague’s public transport is especially comfortable and financially advantageous. For the duration of your Prague Card validity, you can use trams, buses, the metro, and all other means of urban public transport (MHD) in the capital without restrictions. Always have your card on you! The Prague Card is available in two versions – for adults and for children or students. Also, you can choose whether you want to buy the card for two, three, or four days. You receive your Prague Card with your name on it, together with a date sticker to mark the starting date of use. To compare the regular charges of various attractions with the fees valid for the card holders, and thus calculate how much you save, you can use Prague Card Calculator, a smart tool showing all the savings according to your sightseeing plan. 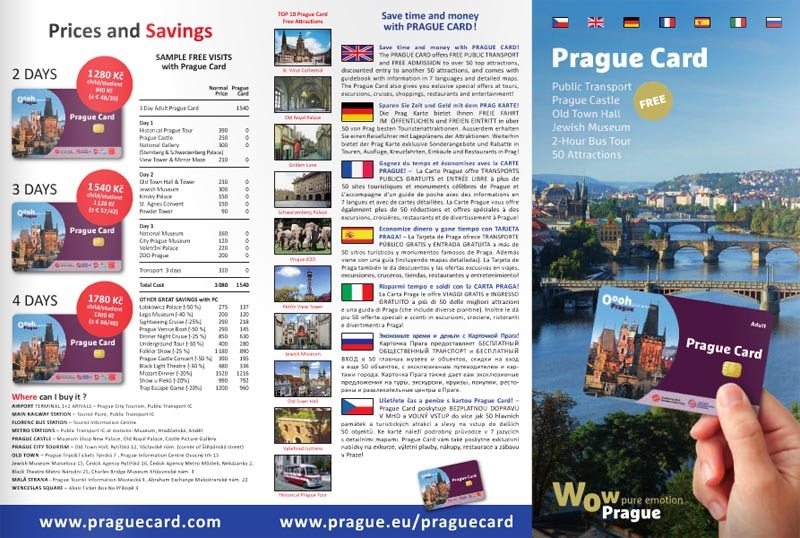 You simply put the data of your itinerary into a form on the Prague Card web page, and view your total savings. The Prague Card is the same size as any regular payment card and will easily fit into your wallet. With the card, everyone gets a guidebook called the Prague Card Guide. It is issued in English, German, French, Spanish, Italian, Russian, and Czech and it provides you with complete information about all attractions participating in the Prague Card project. Also, there are detailed maps of Prague districts and a well-arranged scheme of the Prague public transportation system in the guidebook. The Prague Card can be purchased in one of many sales points around Prague, or online. You can easily find the nearest sales point using an online map on the card’s web page. If you prefer to buy online, visit the Prague Card e-shop, where you simply enter all the sections of your choice. You can pay with MasterCard or VISA credit card. You can also choose where to pick your card up (Prague Airport or Prague city centre). All prices are 2 EUR higher when buying from any sales point in Prague. The children/student card is available for 6 – 16 years old kids and students under 26 years (you’ll need to show student ID). Children younger than 6 years have free admission to most of Prague’s attractions as well as public transport, so there is no need to buy a Prague Card for them. I can´t understand, if the public transport is free or not. On some pages the transport is free on other pages the transport is not included.